Australian Aboriginals is the name given to the first inhabitants of the Australian continent, thought to have arrived over 60,000 years ago. 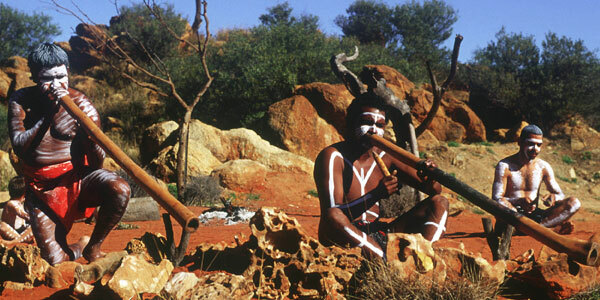 For thousands of years, the aboriginal culture remained virtually unchanged. The arrival of European settlers from England in 1788 brought vast challenges to the simple aboriginal way of life. Yet the heart of ancient culture thrives today, despite a harsh desert climate and few material possessions. Far from a primitive society, this special group is rich in community, gratitude, spirituality, simplicity, and, most importantly, love. The foundation of this simple lifestyle is the Aboriginal people's understanding of the powerful connection between mind, body, and spirit, and their belief in a universal consciousness–-what some might call God, One Consciousness, or All That Is. They believe everything is One and cannot be separated. The "original environmentalists," the Aboriginal people believe a close alignment to the land is of utmost importance. They also feel a strong link to their ancestors. Aboriginal people connect to this greater power through what is known as “Dreamtime.” The word refers to a meditative state they enter that may last the majority of the day. This is the Aboriginal people’s time for a deeper connection and communication with “The Big Guy” (a genderless term meaning God/Source), the environment, nature, themselves, and each other. Though unusual to those accustomed to Western life, with its incessant appointments and to-do lists, Dreamtime enables the Aboriginal people to reduce thoughts to their simplest core and to experience the emotions of their thoughts–-be it hunger that prompts them to seek new territory for food or irritation with another family member that needs to be resolved. The remote Aboriginal tribespeople believe the body, mind and spirit are not separate but interconnected. Feelings and thoughts create emotional and physical manifestations that become an integral part of who we are. Emotions dealt with through fear or avoidance, they believe, result in illness or “dis-ease.” It is the blockage or numbing of thoughts and emotions that keeps us from wellness and fosters illness. Known for their powerful healing methods, these Aboriginal people understand how within each person lies the knowledge and capability to heal and create wellness through balanced thoughts and feelings. By recognizing our emotions and universal spiritual connection, we move toward a state of wellness and, in the process, are enriched by our encounter with life’s inevitable challenges and lessons. Community is at the heart of aboriginal culture. Living in small family groups or tribes, and connected physically and spiritually to the land, Aboriginal people work and play together. One of the most powerful lessons Aboriginal people teach us is that of living in joy and gratitude. Dreamtime allows a period of prayerful gratitude. They are grateful not only for the source of their food, but give thanks to the food itself. Evening songs and dances express further appreciation toward both “The Big Guy,” who provides everything, and nature. Spiritually-advanced and living remotely, the Aboriginal tribespeople do not fill their minds with dark thoughts, judgment, conflict, war, or hatred. Rather, their world is filled with peace and contentment. They choose to grow in love, gratitude, and joy, linked fully to who they really are–-the soul within. This enlightened culture has much to teach the world. Through human example, they demonstrate the interconnectedness nature shows us every day–-the pure connections waiting to be discovered, connections to each other and to the world around us--if we only take time to connect to our soul within. If we truly listen and allow ourselves to be led by our hearts and souls, rather than by our chaotic, overcomplicated minds, we can come to understand and live what the Aboriginal people have lived and understood for thousands of years: Love is All. Read the award-winning book Secrets of Aboriginal Healing by Dr. Gary and Robbie Holz and Aboriginal Secrets of Awakening by Robbie Holz with Christiann Howard. 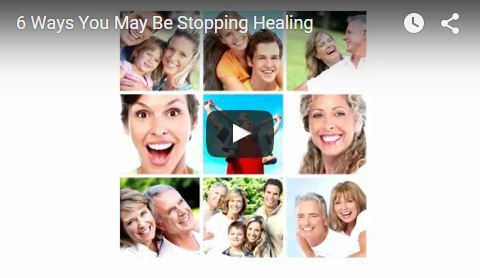 Our online course, “Use Aboriginal Secrets for Self-Healing,” is an easy way to integrate their powerful healing methods into your everyday life. 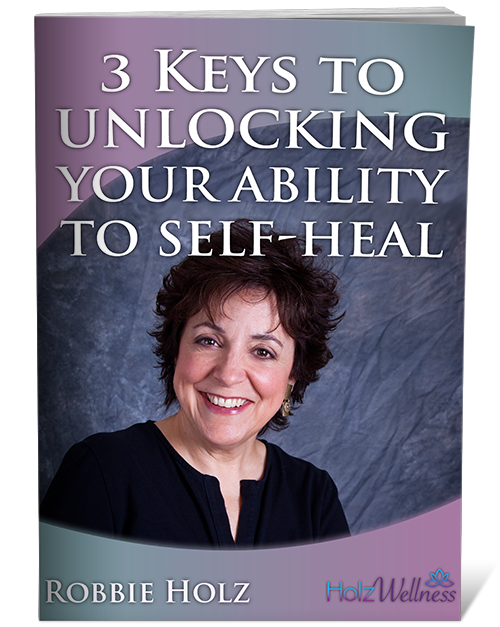 Contact us to learn how the aboriginal healing philosophies can help you accelerate healing naturally. Thanks Sharla. Glad you enjoyed it.